Jim Bain is survived by his husband 0f 23 years, Wolf Fillmore. They are seen here on the evening of their first date. Wayves thanks Wolfe for making this picture available. Long time Wayves team member Jim Bain passed away on August 3, from Stage 4 pancreatic cancer, at the Eastern Shore Memorial Hospital, at age 60. "Wayves first encountered Jim Bain in 1995," said Wayves Publisher Dan MacKay, "He was the president of PRIDE in LIFE in Riverview, NB at the time, and wrote in with a massive list of corrections and updates for the New Brunswick section of our Groups And Services page." Dan recalled that in the next year Jim proposed to Wayves that he be hired as a regional reporter for the magazine, based out of New Brunswick. He got started on ad sales for the LGBT community in the late 1990s, with his good friend Chris Aucoin, publisher of the Pride Guide: "Maritime Canada's gay / lesbian / bisexual / transgendered phonebook!" In 1999, in response to a readership survey, Jim wrote Wayves a precise and robustly logical letter telling us to pull up our socks, produce a decent publication, and act more like a business. He soon convinced Wayves that we needed him, designed his own job, set his own pay scale, and begun putting the magazine in the black, every month, for almost fifteen years, until we stopped print publication. "He was determined to transform Wayves," said Dan," from 'a very loosey-goosey collective' -- a phrase that he never failed to utter with a derisivie curl to his beareded lip -- into something that ran more on a business model. Jim worked tirelessly to keep Wayves on a solid financial footing. "His vision was that we on the editorial team had to make Wayves essential to the LGBT community, and that made selling ads easy," says MacKay. 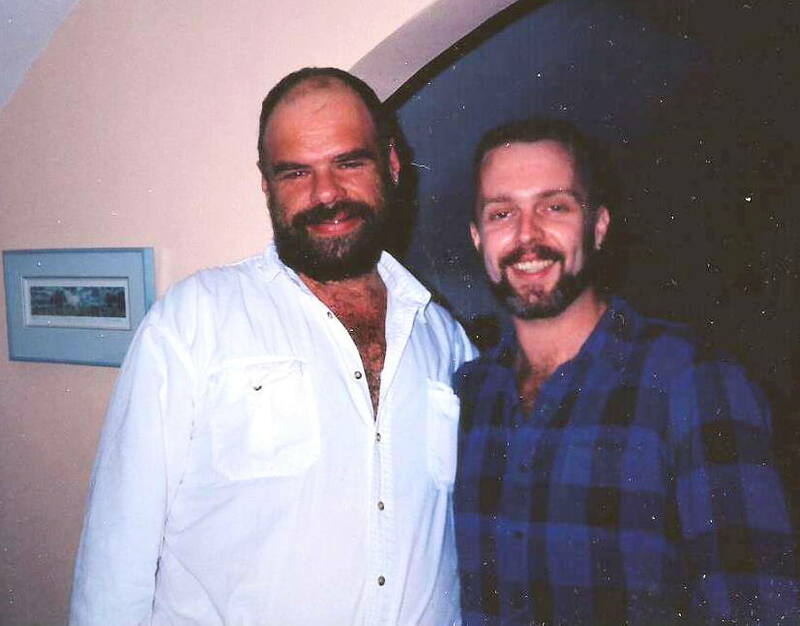 Jim was a fierce advocate for our community; in addition to his work for Wayves, in the 1990s he served on the Board of Directors of the AIDS Coalition of Nova Scotia and was involved in MAC Leather, while helping with his husband Wolf Fillmore's custom leather apparel & accessories business. Wayves volunteer, Hugo Dann remembers him as a man who loved challenging people to live up to their own expectations. "I recall that in 2007, I was complaining at a Wayves layout meeting that Halifax seemed to have lost its appetite for queer political rallies, and that nothing was being planned to mark May 17, (now known as the International Day Against Homophobia & Transphobia IDAHoT.) Jim immediately challenged me to turn my complaint into action. Dan and Raymond quickly came on board, and Wayves funded the publication of a pamphlet promoting the event, and a queer Halifax tradition was born." Hugo cherishes memories of Jim's deliciously dry wit and how he loved an argument: a staunch and unwavering view that he would vehemently set forth was that the queer lifestyle was far superior to a straight one. "While I rather agreed with him on that point, we often locked horns in debate, especially about the "business" model for Wayves, but our arguments were entirely free of rancour. I had loads of respect and affection for Jim." Chris Aucoin recalled a more private side of his friend, "Jim Bain loved heavy metal music and cars. While he'd admit that Revolver was his favourite Beatles album, his music collection focussed more on Metallica and Guns & Roses. You could be watching a movie on TV with Jim, and if a classic car drove into the picture he could name the make, model and year!" He was a huge fan of comics, and Tolkien (and reading and writing generally), and "loved Dungeons & Dragons, as well as card and board games." "He was a great big gentle bear… and I’ll miss him." As will all of us at Wayves. 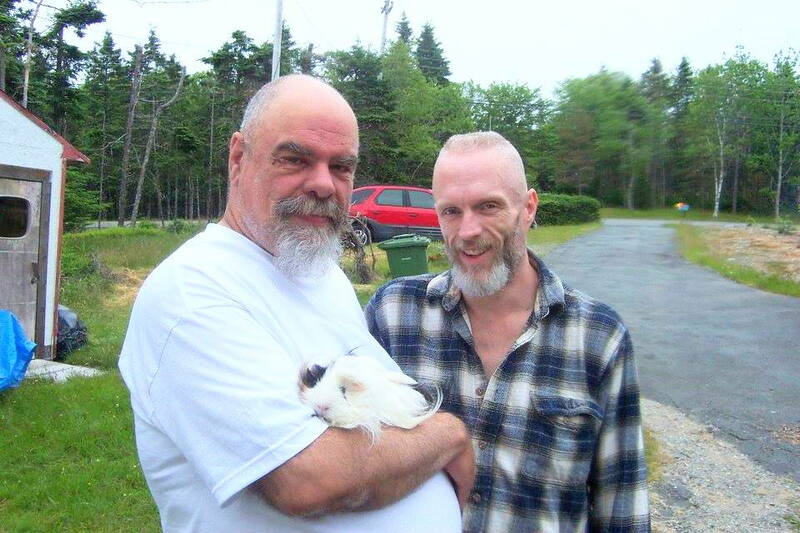 Jim will be remembered with A Celebration of Life & Benefit including a pot luck meal, Chinese auction, 50/50 draw, and a show, on Sunday, August 14 from 3 PM to 11 PM at Menz & Mollyz Bar, 2182 Gottingen St, Halifax. Donations at the door will be accepted; a formal memorial will happen at a later date. If you can help with the Pot Luck or can donate a item for the Chinese Auction, please contact Jozef Asquith Crooks on Facebook.